Read TMF while walking on the treadmill a while ago. Going to grab the audio version for my second go round. I'm 17 and I'm improving my programming skills so I will probably be able to launch my own online business before 2017 ends. In class I profit dead time to read and acquire more knowledge whenever is possible. MJ DeMarco and Kingmaker like this. eduinvestor and Kingmaker like this. I must have forgotten to mention that I have read The Millionaire Fast Lane. I think I have actually read it about 14 times starting a year or two ago. I learn something new each time I do. I read it when I need to realign, when I need to focus, when I need a kick in the a$$. I read it in the car, on the shitter, and on the plane. Thank you @mjdemarco for writing this book.! Just finished the audio book at work. Will be picking up a hard copy. Can't wait to start putting this into practice! Awesome book! Now that there are over 100,000 copies out there in the wild, multiple language translations, etc. this is the thread to let me know that you've read The Millionaire Fastlane. When I first found this forum I thought it was just another cult following of a financial guru. Curious I bought the book, and I just have to say it was the best decision I have made in my short 16 years here on earth. 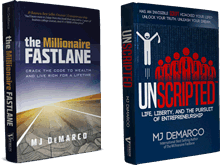 This book has done so much for me, and I just have to thank MJ DeMarco here for taking the time to write the best entrepreneurial guide yet. Just finished the Kindle book with Audible assist. Will reviews my highlights at least once a week to remind myself. Mind blown! Everything make sense now. I wished I had this book before starting college. 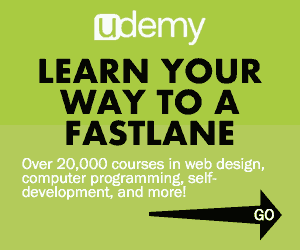 I thought the fastlane was only for the lucky few, never thinking it was possible until now. Thanks MJ for sharing your knowledge! Read the book! Great work btw, really life changing read! Just finished reading it, going to re-read a second time now and take notes! This book is right up there next to The Slight Edge and The 7 Habits of Highly Effective People. It is worth your precious time. Actually I feel like reading it again now. Read the book. I need to do that few time again. A lot of knowledge. I've read it multiple times and I've shared it with a few friends. Read The Millionaire Fastlane probably 4 years ago... And have read it a couple of more times since. It's my favorite truly NO-BS business book. Purchased the book this past Thursday on Amazon and finished it already. Great book and certainly the direction I want to go. I have read other finance books and what not as well but most of them preach the same slowlane method. I read the book and it sure changed my outlook on life and entrepreneurship. I read your book twice I started reading it again. I started a forum on attention management hopeing to get a understanding on how to manage entrepreneurs attention because most the we are everywhere. Can I get your opinion on Attention Management. Reading TML for the second time now and starting to get involved on the forum. I picked up so much more on the second reading and through taking notes. I've recently started writing a book, which will be my first Fastlane attempt. Not expecting much from it, but I'm working every day to get some experience on the road of entrepreneurship. Discovered this book via Morning Miracle ebook. Went on itunes and here I am. Red it love it. Now it is time for action. Otherwise as MJ wrote. Action is what it takes to move forward. I read the book back in Nov and am taking action now! A thousand thank-yous for writing this book! I purchased the hard copy and began to read. When I got to chapter 16 I purchased the Ebook so that i could have it with me on my phone all the time. I've read the book twice and refer to it often. I was so excited that I purchased 11 copies to give to my family and friends. I discovered that if you want to locate where a person is in their financial beliefs just give them this book. Out of all the books I gave out, and all the times i've recommended it to others, I have found ZERO like minded people! I was shocked to find that I was surrounded by flatulent headwinds! So now i have taken refuge in this forum and i am happy to surround myself with a family of like minded folks. I look forward to looking back and giving thanks. Picked up the book on itunes a couple days ago and I must say it's quite a read. Thank you for having taking the time to share your experiences/processes and your work ethics. I've read it. Starting to learn to code now - scary! Need a different path though to my current lawyer role before it's too late.